We heard about it a few years ago but many didnt belive it. Hitler faked his own death and fled to South America. He and his wife didnt die after World War 2. He lived a peaceful life in Argentina. What you have heard until now at school is that Hitler and his wife committed suicide whilst hiding out in a bunker at the en of World War 2. It was the end of evil terror and the case was closed. That was a big lie. We have to rewrite the history. Conspiracy theorists often said Hitler was alive and that he survived World War 2, despite him officially being recorded dead by the Allies. Russian authorities also claimed Hitler was still alive. Officially, the Red Army closed this case and said Hitler shot himself and then his body was burned by Soviet soldiers. Western-led investigations suggest the Führer is dead, despite alleged sightings recorded by the CIA and FBI. In the JFK documents you can see declassified CIA files reveals that Hitler escaped war-torn Germany and lived a peaceful life in the beautiful foothills of the Andes Mountains. He lived in Argentina many years after World War 2. A man called Citroen is said to have been in contact with Hitler once a month in Colombia, and the CIA documents reads: «Citroen» also stated Hitler left Colombia for Argentina around January, 1955. It`s odd to see that Hitler is reported in the JFK documents, but it can be because of the fight against Communism. It is no doubt that Nazism and Fascism is evil but right after the end of World War 2, a new problem occurred; Communism. Warren Commission said Lee Harvey Oswald was the lone gunman that killed JFK, but the Zapruder film prove another thing. You can clearly see it in the Oliver Stone film called «JFK» from 1992. In other words: LBJ had a big cover up. The magic bullet came from the front. Not from the back were Oswald was. When the shot hit Kennedy, his head goes backward and to the left, which means the bullet came from the front. Actor Kevin Costner explain this in the court in Stone`s movie. A great movie that cover this JFK case well. In the same movie, you can also see that Oswald only days before the assassination is doing a Communist propaganda. Oswald was a self-proclaimed Marxist/Leninist since adolescence who defected to the USSR in 1959 on his own initiative, offering to trade on his military expertise with the Marines. Oswald`s ideal of a Soviet utopia was immediately soured by bureaucratic indifference, causing Oswald to adopt revolutionary Marxism as opposed to institutionalized Leninism, perhaps inspired by som Cuban students he befriended while living in Minsk. By the time Oswald and his Russian-born wife Marina leave the USSR in June 1962, Oswald sees in the Castro revolution a truer form of socialism – one not corrupted by Soviet Communist Party Officials and their perks. Oswald was very active in defending Castro through debating on radio. Oswald tried to infiltrate some anti-Castro elements, perhaps to gather intelligence to impress Havana. All this effort turned out to be for nothing when Oswald was rejected at the Cuban embassy in Mexico City in early October. Oswald was a complex person. One part of him was ant-Castro, the other part was pro-Castro. His friends like the one who murdered him, Club owner Jack Ruby, was anti-Communists and right-wing activists, closely linked to FBI, the CIA and U.S Naval Intelligance. Many of them was strange friends like Jack Ruby, David Ferrie, Clay Shaw, Guy Banister and George de Mohrenschildt. So, Oswald created a public persona for himself as a leftist agitator when he returned to the U.S. In New Orleans, he set up his own Fair Play For Cuba Committee without the authorization of the national headquarters og the organization which was based in New York City. He was the only member of his committee. Although broke, Oswald hired two men to help him distribute his handbills. Conspiracy theorists claim Oswald was a “patsy” because they wanted people to belive that he was pro-Russian and pro-Castro. It was just a part of the game. Oswald had a girlfriend from Russia and spent a lot of time there. In Texas, Oswald and his family were befriended by members of a right-wing Russian emigè community. The CIA documents is evidence and documents people have waited for in 75 years. The document is available via the CIA`s own archives site. It is a pivotal day today as Donald J Trump will be sworn in as the 45 president of the United States. Trump will start his first day at the white house with the lowest approval rating in many decades. 900 000 is expecting to come to Washington and many of them will boycott Trump`s swearing-in. Over 60 members of Congress have declared they will not attend the inauguration. In addition; millions of dollars are fleeing in to different organizations to resist Trumpism. 50% voted for Donald J Trump. Are 50% of the American people stupid? What we know is that people are angry, and that is why many of them voted for Trump. Trump said in his speech last night that this is a movement. He called CNN for «fake news». He is attacking CIA and are against the establishment. This is something that remind us about John F Kennedy. When we look at the history, we know that Donald J Trump have to be very careful. He can be assassinated. «We are opposed around the world by a monolithic and ruthless conspiracy. It is a system which has conscripted vast human and material resources into the building of a tight net highly efficient machine that combines military diplomatic intelligence economic scientific and political operations. Its preparations are concealed, not published. Its mistakes are buried not headlined. Its dissenters are silenced, not praised». John F Kennedy talked about the secret society which is the same group of people Donald J Trump talks about. The secret society has no traditions or any religion, and they own the media as it is today. John F Kennedy was assassinated 22 November 1963 in Dallas, Texas, but he is not the only one. William McKinley was assassinated 14 September 1901, six month into his second term. There is something scary here. Take a good look at the scheme below. President nr 45 Donald J Trump ? Abraham Lincoln was assassinated by John Wilkes Booth on Good friday, April 14, 1865. He was the 16th president of the United States. Lincoln was a religious skeptic, and he was a classical liberal democrat. An enemy of artificial hierarchy, a friend to trade and business as ennobling and enabling, and an American counterpart to Mill, Cobden, and Bright. 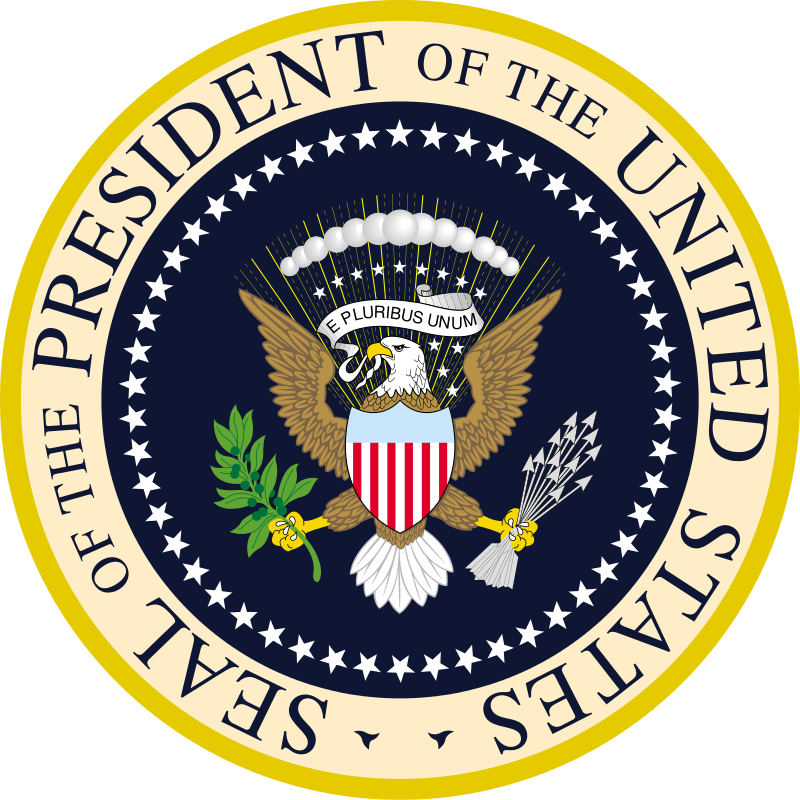 In surveys of U.S scholars ranking presidents conducted since the 1940`s, Lincoln is consistently ranked in the top three, often as number one. In presidential ranking polls conducted in the United States since 1948, Lincoln has been rated at the very top in the majority of polls. President Lincolns assassanation increased his status to the point of making him a national martyr. Lincoln was viewed by abolitionists as a champion for human liberty. Republicans linked Lincolns name to their party, and many consider him to a man of outstanding ability. We also know John F Kennedy`s popularity, and he will never be forgotten. What about Donald J Trump? Will he fail and be forgotten? 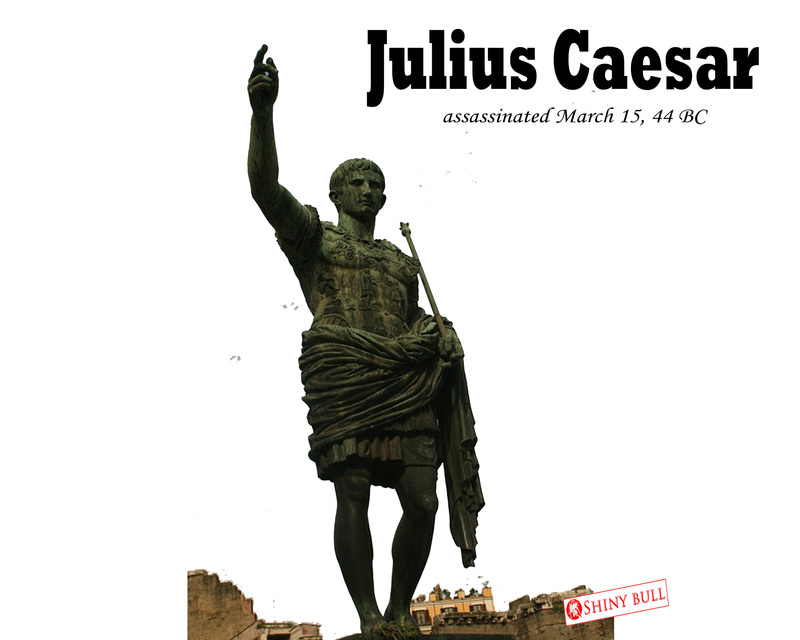 Today, On March 15, 44 BC, the founder of the Roman Republic and the rise of Roman Empire, Julius Caesar was assassinated and killed by members of the Roman Senate. The world`s most famous political murders. Caesars second heir were among the assassins. There were totally as many as sixty assassins. 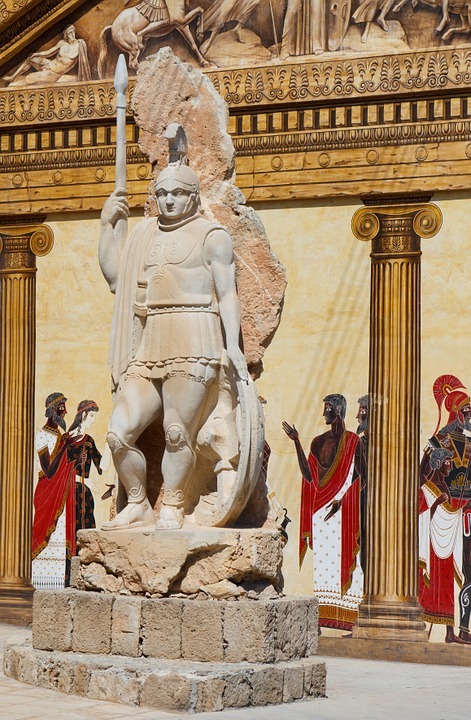 Caesar was stabbed twenty-three times and died at the base of Pompeys statue, but the assassins made a big mistake. They didnt know what to do after Caesars death. They didnt have a plan, so they mistakenly allowed Marcus Antonius (Mark Antonio), who was Caesars cousin and right-hand man, to live. Caesar`s death is a key moment in history. It all resulted in a cycle of civil wars, which resulted in one of the most significant constitutional transformations in history. They went from a republican system of government and became an empire. Supporters of the Republic point to how it threw off the tyrannical king Tarquin the Proud and introduced elements of democracy. It became popular also in Italy, France, Spain, Greece, Macedonia, Syria, Libya, Egypt, Turkey and Tunisia. Julius Caesar was born 12 July 100 BCE. His father was a Praetor who governed the province of Asia and his mother was of noble birth. Both held to the popular ideology of Rome which favored democratization of government and more rights for the lower class as opposed to the optimates factions` claim of the superiority of the nobility and tradition Roman values which favored the upper classes. It should be understood that the Optimate and the Populare were not political parties in conflict with each other but, rather, political ideologies which many people shifted toward and from, regardless of class in society. The concept of appealing to the people for support, rather than seeking approval from the Roman Senate or the other Patricians, would work well for Caesar later in life. Gaius Julius Caesar was Roman statesman, general, and notable author of Latin Prose. Caesar was extremely talented in many ways which is very unusual. He was a military colossus, compelling writer, original thinker, magnetic orator, dynamic reformer and magnanimous politician. He was also narcissistic, manipulative, egotistical, sexual predatory, shockingly savage in war even by Roman standards, and monomaniacal obsessed with acquiring absolute power for himself. Caesar is considered by many historians to be one of the greatest military commanders in history. Thanks to William Shakespeare, «Beware the ides of March» means that people always remember March 15. In 60 BC, Caesar, Crassus and Pompey formed a political alliance that dominated Roman politics for several years. Their attempts to amass power through populist tactics were opposed by the conservative ruling class within the Roman Senate. Caesars victories in the Gallic Wars, completed by 51 BC, extended Romes territory to the English Channel and Rhine. Caesar became the first Roman general to cross both when he built a bridge across the Rhine and conducted the first invasion of Britain. These achievement granted him unmatched military power and threatened to eclipse the standing of Pompey, who had realigned himself with the Senate after the death of Crassus in 53 BC. With the Gallic Wars concluded, the Senate ordered Caesar to step down from his military command and return to Rome. Caesar refuse the order, and instead marked his defiance in 49 BC by crossing the Rubicon with a legion, leaving his province and illegally entering Roman Italy under arms. Civil war resulted, and Caesar`s victory in the war put him in an unrivaled position of power and influence. After assuming control of government, Caesar began a programme of social and governmental reforms, including the creation of the Julian Calendar. He centralised the bureaucracy of the Republic and was eventually proclaimed «dictator in perpetuity», giving him additional authority. But underlying political conflicts had not been resolved, and on the Ides of March (15 March) 44 BC, Caesar was assassinated by a group of rebellious senators. A new civil war broke out, and the constitutional government of the Republic was never fully restored. Caesar`s adoped heir Octavian, later known as Augustus, rose to sole power after defeating his opponents in the civil war. Octavian set about solidifying his power, and the era of the Roman Empire began. 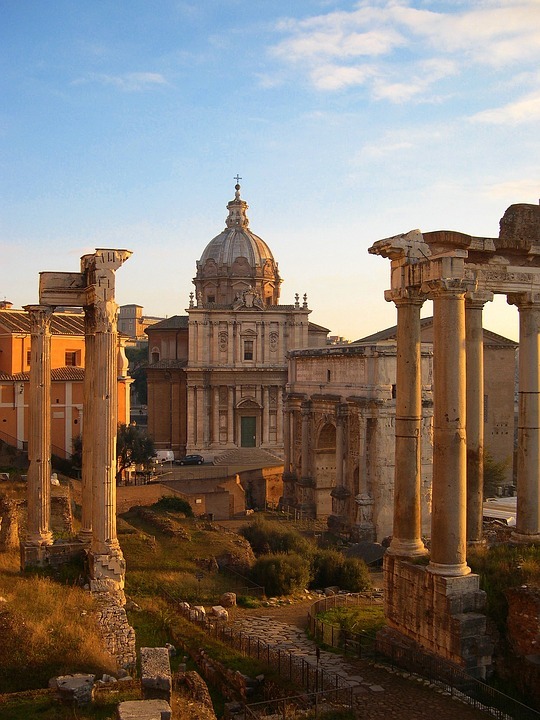 Rome finally became an empire at the end of the 1st century BC, under Augustus and his authoritarian successors. The Roman Empire had its centre in the Mediterranean, controlling all the countries on its shores; the northern border was marked by the Rhine and Danube rivers. The Empire reached its maximum expansion, controlling approximately 5,900,000 km2 of land surface, including Britain, Romania and parts of Mesopotamia, Pax Romana, a period of peace, civilisation and an efficient centralised government in the subject territories ended in the 3rd century, when a series of civil wars undermined Rome`s economic and social strength. The Roman Empire had been repeatedly attacked by invading armies from Northern Europe and in 476, Rome finally fell. British historian Edward Gibbon argued in «The History of the Decline and Fall of the Roman Empire» (1776) that the Romans had become decadent, they had lost civic virtue. Glen W. Bowersock has remarked, «we have been obsessed with the fall: it has been valued as an archetype for every perceived decline, and, hence, as a symbol for our own fears.» It remains one of the greatest historical questions, and has a tradition rich in scholarly interest. Over time many theories have been proposed on why the Empire fell, or whether indeed it fell at all. I love The United States, but what I love is the Republic. Not the Empire. Some empires are planned, some are not, and empires created on purpose, such as Napoleonic France and Nazi Germany, have rarely lasted. After World War II (1945), The United States became an empire. All Empire`s are a part of an evolution.